I have been writing this blog since 2008. From the very begining, my sole purpose was to create a genuine portal about Turkish coffee and its culture. Tough I try to be original, I found that I lost my domain! It has been renewed automatically since this year. Somehow, there was a problem at Google wallet system and automatic renewal didn't work. The result? I lost my domain I have been using years... Shame on you Google, shame on you. Since I've started to write this blog, I've been receiving many emails, comments and messages from visitors to read their cups. Tough I tried my best to answer all those requests, it reaches to an almost impossible point to reply all of them. On the other hand, It really became hard to keep this blog live without support. To solve both of these problems, here is the solution. Please make a donation to my blog, if you want me to read your Turkish coffee cup. After the donation, please send me photo or video of your cup with and indication of the donation date. I hope you understand and support me. There are good news in Turkish coffee scene. I just explored that a new coffee portal in Turkish was launched. The name of the project is so lovely: Coffee Gene, Kahve Cini in Turkish. The coffee portal aims to provide information on all main subjects regarding coffee culture. Unfortunately, Turkish coffee market is heavily dominated with instant coffee. It is so ironic for a country that presented a very special coffee brewing, Turkish style, to the world. I wish you all the best for Coffee Gene. Hope they will help to improve coffee market in Turkey. 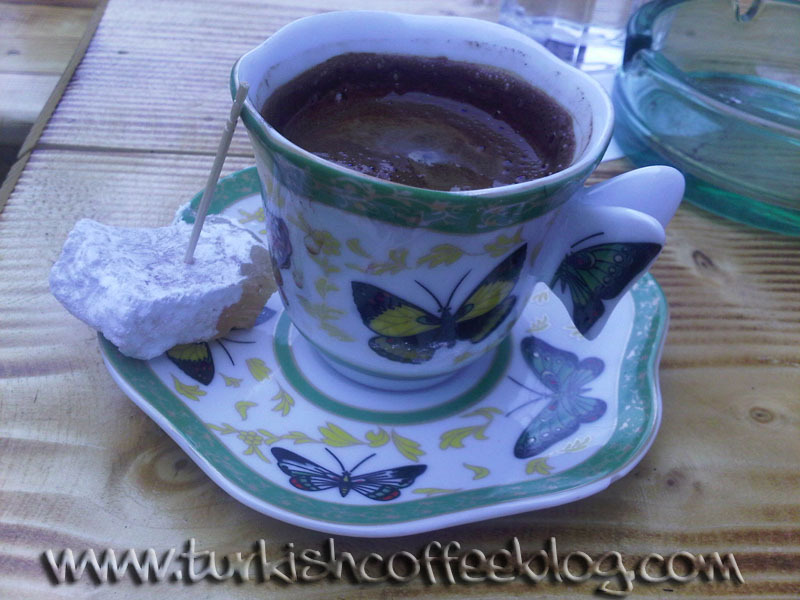 Turkish Coffee Blog is a great website about this amazingly delicious coffee. Thanks for the good work! :) Turkish coffee is very popular in Macedonia. We call it "турско кафе" (pronounced as "tursko kafe"). In Macedonia, we prepare this coffee as it is done in Turkey. The cup in the photo below is just like a traditional Turkish one, as I got that one in old Turkish town in Skopje. Actually, our Turkish coffee cups are really bigger comparing to Turkish ones. In Ottoman Empire days, Turkish coffee used to be served in coffee cups without a handle. So, how could people hold the cups? The answer lies on special coffee cup holders called "zarf". A zarf can both keep coffee cup safe and protect coffee drinker against heat of hot cup. Traditionally, zarfs are mainly made of silver. However, many other materials are used too. 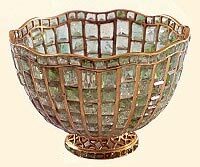 For instance, there are zarfs made of brass, copper, tombak (an alloy of copper and zinc), and even gold. Rarely, there are also zarfs made of tortoiseshell, ivory, and horn. There are even wooden zarfs that are made of woods such as agallochum, coconut, ebony, and beech. Since the coffee cup is not visible, decorating zarfs had become a special area of art. Expensive zarfs are decorated with chasing, engraving, niello and studded with valuable things like gems and coral. Today, you can find beautiful examples of those zarfs in Turkish museums or private collections. Golden zarf and porcelain coffee cups from 19th century - Such a coffee cups set was known as "wife & husband cup" and bride served the very first coffee to her husband with those cups. A coffee cup that is going to be used with a zarf can be made of many materials, such as porcelain, china, glass, and even wood. They have to be without a handle, so they can perfectly fit into their holder zarfs. Please support my blog by doing a donation now via PayPal secure site. Thank you for keeping this blog alive.